Raise your hand if you love 6x6 paper pads! Me me me! 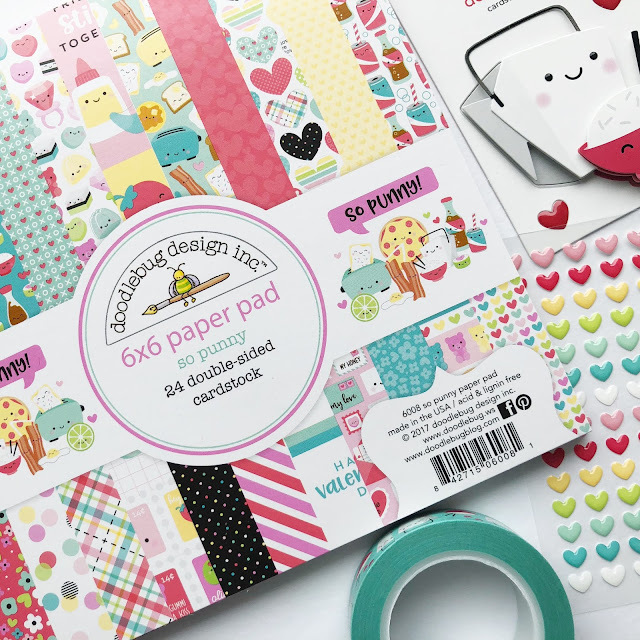 I love the smaller sized 6x6 papers and Doodlebug's 6x6 paper pads are double sided- woot woot- double the fun! Not limited to just making cards, you can most definitely use the smaller scaled 6x6 papers on your scrapbook pages too. On my layout I used only 6x6 pattern papers. You might notice that the pattern paper strips appear to be longer than 6 inches? Shh...only you know the patterns are not that long and the breaks are hidden behind the photo mat for an appearance of a longer strip. 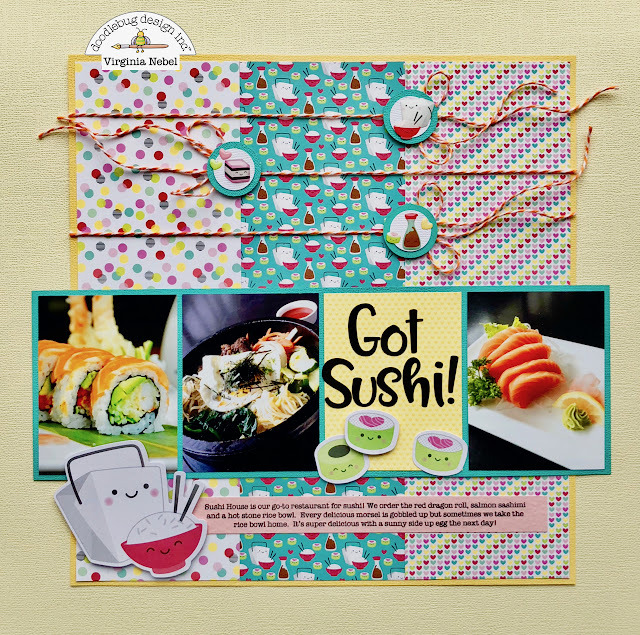 In this collection are some adorable shape sprinkles, check out the little soy sauce container and sushi roll, so adorable! Thanks for stopping by today, be sure to come back for more awesome projects by the team! The sushi rolls... oh how cute!!! Fabulous layout! !